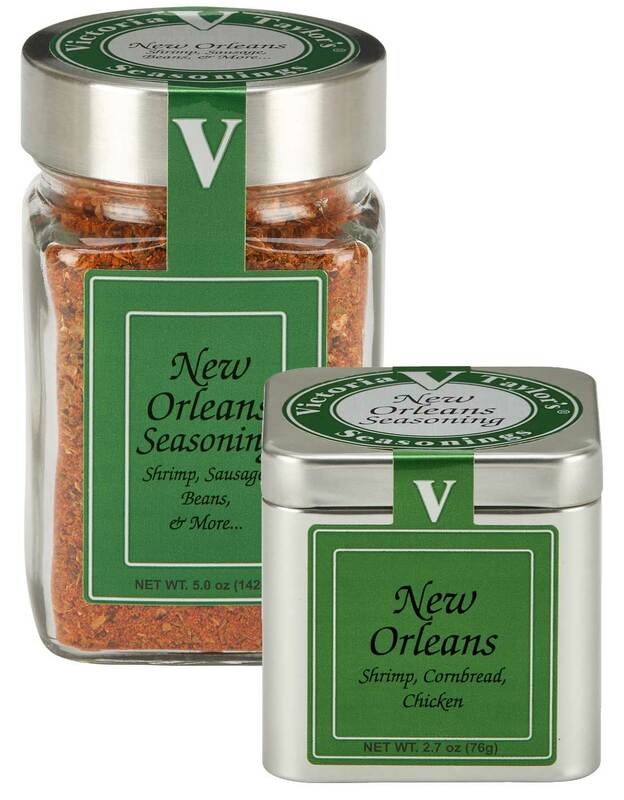 Add some Cajun spice to your dishes with Victoria's New Orleans Seasoning. Our New Orleans Seasoning brings heat and smoky notes from cayenne pepper, paprika and cumin along with onion and garlic. Oregano and thyme give Victoria's New Orleans Seasoning a well rounded flavor to balance the heat in this Cajun style blend. This is the perfect addition to New Orleans style dishes like our Cajun Cornbread Casserole and Simmering Cajun Shrimp. Vegetables (garlic, onion, green onion), mixed spices (red pepper, oregano, thyme, cumin, white pepper and black pepper), paprika, sea salt, and silicon dioxide added to prevent caking. Will purchase the Holiday blends closer to the fall...Just wanted you to know how pleased I am with the one tried..